Full bore 2 piece construction, flanged PN16, providing full unrestricted flow and a very low-pressure drop across the valve. 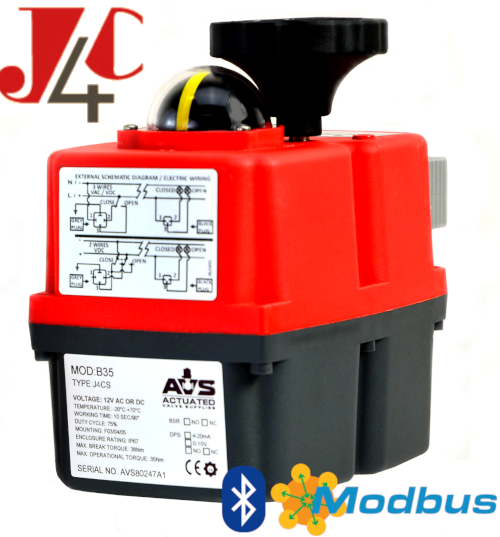 Designed for automation with integrally cast ISO5211 actuator mounting platform. Turning the ball through 90° fully opens the valve, turning back through 90° fully closes the valve and isolates the flow. End connections are flanged PN16. 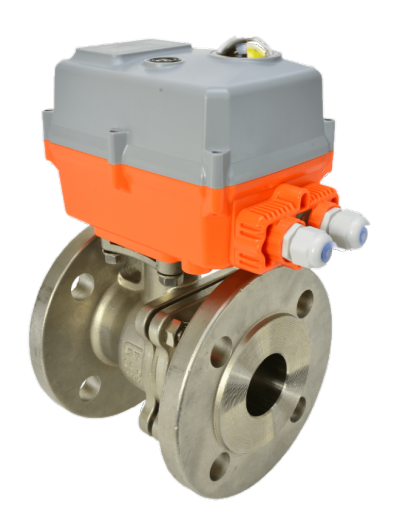 These ball valves are ideal for general service applications. Water, oil, air and most non-corrosive media, subject to compatibility with wetted parts in contact with media. Not recommended for use on steam. Do not use on potable water. Electrical actuators sized on a maximum differential pressure of 10 bar wet service, operated at least once per day. The maximum working temperature of a directly mounted assembly is +70C. For higher working temperatures, consider models that have a mounting kit or TSM stem extension between the valve and actuator which uses air cooling to dissipate the rising heat from the valve away from the actuator.